The 2019 Red Bull Pump Track New Zealand Qualifier will be held at Centennial Park, Wellington on April 28 as the ultimate pump battle travels the globe to find the world's fastest berm rippers. The inaugural Red Bull Pump Track Championship was a worldwide hunt to find some of the very best two-wheeltalent, regardless of where they came from or what they rode. Building on the success of last year, the 2019 series will see qualifiers held across 25 events with competitors drawn from a registered 5,000 entrants. Once again, the series will take place in conjunction with Claudio Caluori's Velosolutions company and the charity #pumpforpeace. 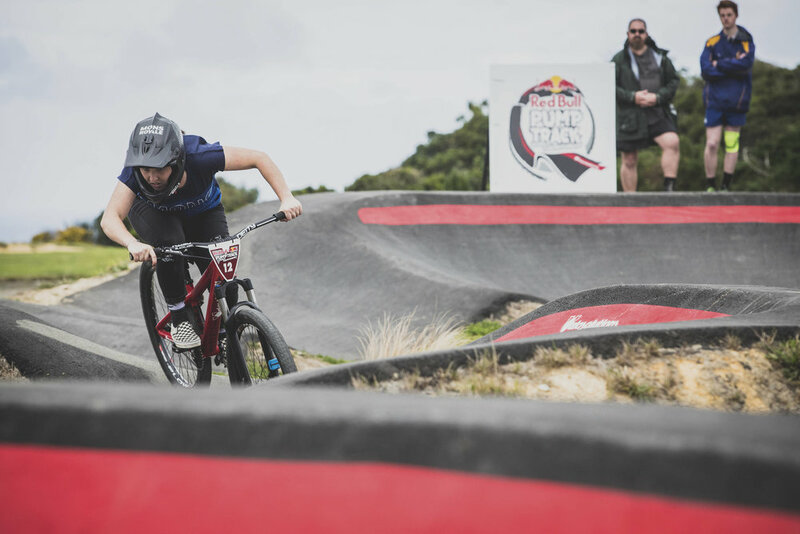 The 2019 New Zealand qualifying round will be held at Centennial Park in Wellington, and the winners will be sent to compete at the Red Bull Pump Track World Championship Finals. Centennial Park is New Zealand’s first Velosolutions asphalt pump track, situated on top of the hill in Miramar, Wellington. The track provides great fun for everyone in the community and with an amazing back-drop of New Zealand’s Capital city, the fun is only a few minutes away from city life. Riders from around the world will be descending on the capital to put their bid in to qualify for the World Finals later this year. Pump tracks combine rolling jumps with banked turns. Riders use the track features to gain momentum and attack the track as fast as possible. They offer the perfect fix for mountain bikers in urban areas, young or inexperienced riders or for people who simply want to experience mountain biking but mightn't have access to mountains. The equipment requirements are minimal too – all you need is a bike! “We're extremely grateful for all the adventures, new friendships, countries and cultures we have experienced around the world during Velosolutions' pump track constructions. Through our partnership with Red Bull we can now give something back” said Claudio Caluori - the unofficial king of the pump track. Through Velosolutions he's focused a lot of his time and efforts into building tracks in countries in the underdeveloped world in an effort to open up the sport of mountain biking to new communities.